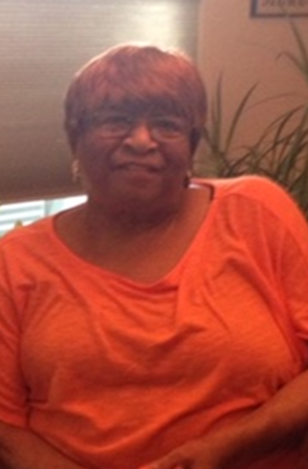 Mercedese Luckett, – 82, departed this life on Saturday, January 12, 2019. She was loved by many for her infectious humor and love of life and people. Mercedese is survived by her children: Gail Sherman, Carl (Ellen) Luckett, Debbie Luckett, Doreen (Reginald) Lewis, Ruby Batiste and Darlene (James) Arrington; step-children: Staci (Greg) Caston-Hall, Delores Broussard and Steven Caston; brother, Charles Brooks; sister-in-law, Mildred Luckett; 11 grandchildren; 13 great-grandchildren and a host of other relatives and friends. She is preceded in death by her husband, Oliver Luckett. Services will be held on Saturday, January 26, 2019 at 11:00AM at Canaan Baptist Church, 319 Killona Dr, Killona, LA. Rev. Henry Wolfe officiating. Visitation will be held from 9:00AM until the hour of service. Interment will follow at Jefferson Memorial Garden, 11316 River Rd, St. Rose, LA.